Some of the bad situations that we can face using Windows is when you forgot your Login’s Password and you don’t know how to access it anymore. Also, sometimes you want to login to others’ protected PC without knowing the password. 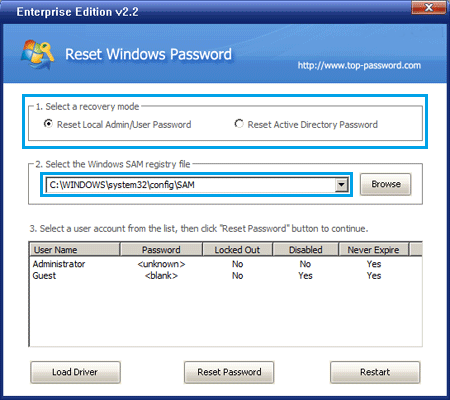 This is a simple tutorial to show you How to Remove and Reset Windows 7 Forgotten Password and access it without the need to re-install Windows. 1) Download Reset Windows Password utility (28 Mb): it’s trial but doesn’t matter. 3) Plug a USB flash drive into the computer. 4) Download and Install ISO2Disc software, Run it. 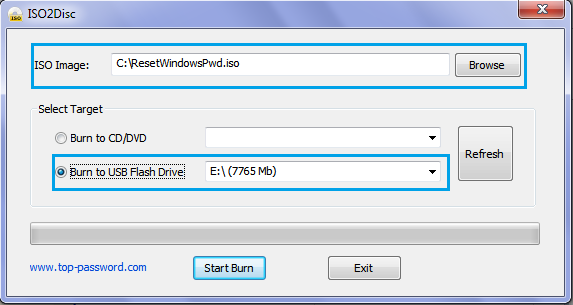 5) Locate the ISO file extracted in step2, Choose the USB drive then Click Start Burn. 1) Now Plug the USB into the Locked Computer and change boot settings from Bios to USB. 2) After booting from USB, you’ll see Reset Windows Password being initialized. 5) Done! Now just restart your Computer and boot from Windows Hard Drive (No need to USB) and You’ll Notice there’s no Password or login prompt.